Information, reports and data related to the assessment of Bishop Library. 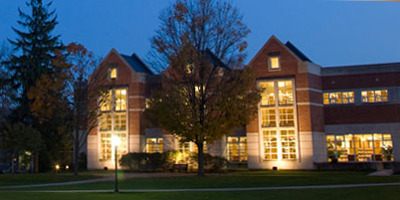 Built in 1995, the library serves as the academic center of the College. Bishop Library's collections total more than 225,000 items, including books, journals, newspapers, CDs, DVDs, videocassettes, audiobooks, and microforms. The library also features an online library catalog, wireless access to the campus network, group study rooms, faculty and student study areas, a computer classroom, the Writing Center, and numerous private reading alcoves. In house materials are supplemented by access to over 100 online databases and online access to over 50,000 full-text journals and newspapers. Bishop Library strives to be the center of scholarly endeavor and interaction for the Lebanon Valley College community. Our mission is primarily to provide support and leadership for the educational, instructional, and research activities of the College as well as the surrounding community.